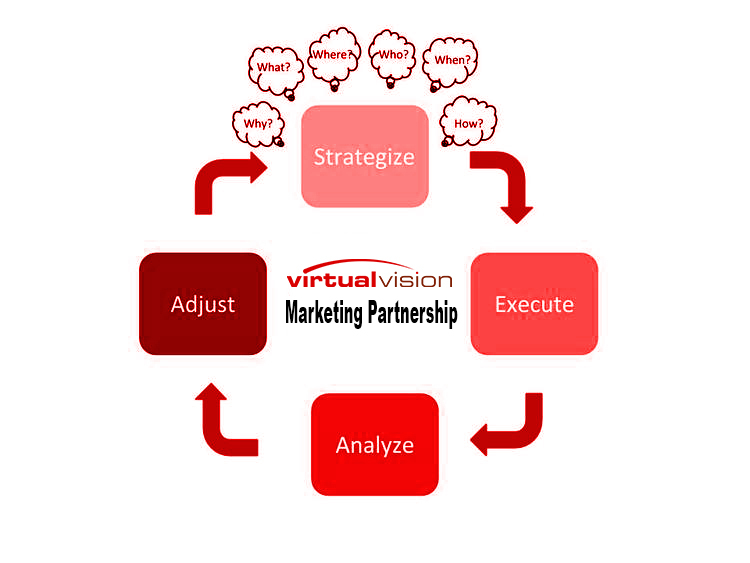 People often ask us, "What makes Virtual Vision different", and our top 2 reasons are always the same..."Our Partnership Process", and Our Team of 15 amazing members. 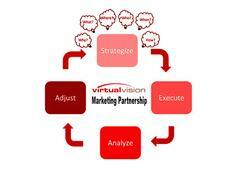 At Virtual Vision we follow a 4 step process with every project, with multiple minds having input. 4. Adjust - Based on those Analytics, we make strategic adjustments to the campaigns. This is our fundamental process we follow on every project, and it is included in all of our service packages. Digital marketing changes so quickly, and that is why it is essential to partner with a Team that can adjust with your business needs. Does your business have a "Partnership" with a great Team..... or do they have a "guy" that built their website a few years ago?